Concrete is a sturdy, low maintenance and durable material in any construction project. 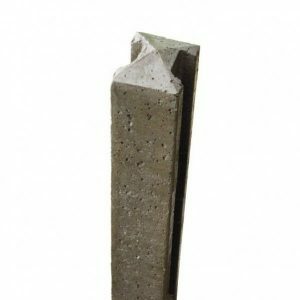 Choosing concrete posts or lintels adds strength to your building or fence. At Sheds to Last, our concrete posts and lintels come in different designs and dimensions. The posts and lintels you get from us are made to exacting standards. We understand that load bearing is a crucial aspect in your building or fence project. The concrete posts you get from Sheds to Last are equally perfect. The posts are reinforced with steel to make them strong for fencing in wind prone areas. We have slotted post designs that can be used alongside out gravel boards. Choose these posts and build your fence using feather board, ornamental fence panels including the standard ones. With the concrete posts and lintels from Sheds to Last, you are assured of low maintenance, durability and value for money. Our concrete products rise above the average products in the market. Once installed, you can rest assured that the posts and lintels will give off a stylish look.